Hold the dumbbell in your hand. Lower the hands alongside with your body and stand up straight. This will be your starting position. Lower down to a squat, keeping your torso upright. Raise a dumbbell at shoulder level. The elbow of your hand should be bent and directed away from your body. Palms are facing forward. While squatting, extend the hand over your head. Squat helps you to push the dumbbell up. 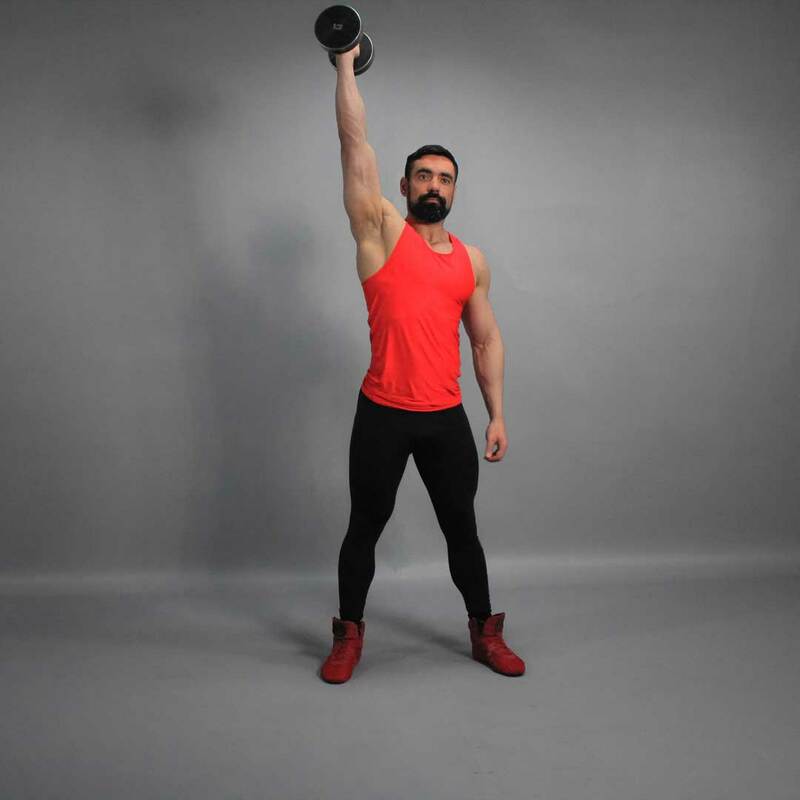 Stand up straight, holding a dumbbell in the extended hand above yourself. Repeat the exercise with the other hand.